“Pure Knife” is more than a slogan, it's the premise behind every aspect in the design and execution. CPM 154 expertly heat and cryo treated to 60-61RC to provide terrific edge holding and corrosion resistance. 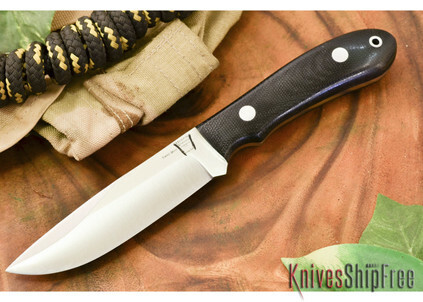 The handle is a perfectly contoured teardrop style with an index finger depression that indexes the knife automatically, making it seem like an extension of your hand. Designed to be in hand all day with no fatigue with a perfectly located swell making it feel secure in hand even in a loose grip with no hot spots or edges to make you want to set it down. 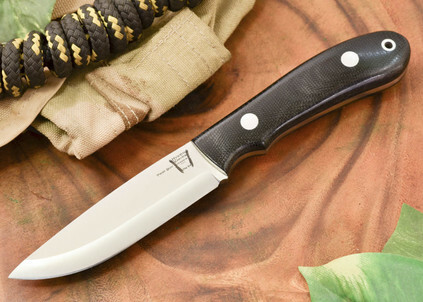 Naturally a “Pure Knife” has to come with a great sheath. Made with top quality leather in a handsome Maduro color and featuring a REM for retention and integral firesteel loop. 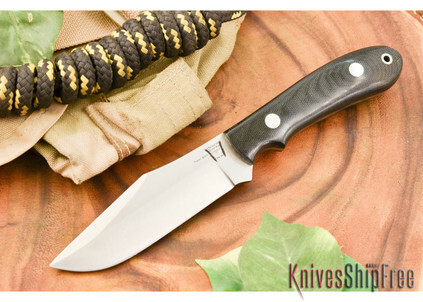 “Pure Knife”, pure sheath and an Unconditional Lifetime Warranty; it has to be.